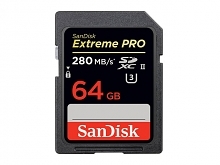 The world's fastest SDHC/SDXC memory card, the SanDisk Extreme PRO SDHC/SDXC UHS-II Memory Card offers the uncompromising read and write speeds professional photographers and videographers require. 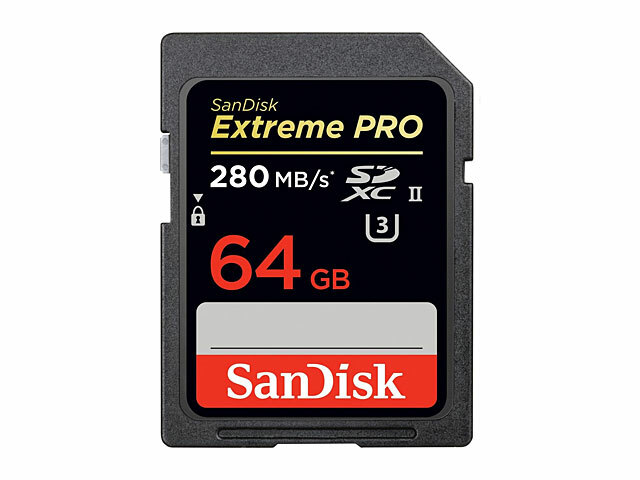 This memory card delivers exceptional read speeds of up to 280MB/s for maximum efficiency and write speeds of up to 250MB/s to handle all your camera's advanced modes. Optimized for cameras that support the new UHS-II standard, the card has a UHS Speed Class 3 Rating, the highest available to support 4K, Full HD, and 3D video recording. And with capacities of up to 64GB, youÃ¢ï¿½ï¿½ll never have to worry about running out of space.